A mortgages and deed are legal documents pertaining to the ownership of property, such as a home. Both documents can be considered contracts between two or more parties. The specific verbiage in a mortgage or deed explains the terms of the contract, such as sales price or mortgage loan payments. In the United States, a mortgage or deed must be signed by the parties involved, notarized, and then recorded at the county office where the property is located. Once a deed or mortgage has been signed and notarized, it can be taken or sent to the county’s recording office to be indexed. Anyone can request a document to be recorded, however when dealing with a mortgage and deed it is usually a real estate, mortgage or title insurance company. Mortgage review agents proof read the documents for errors and send to the proper county for recording. The document must meet all state and county requirements and any fees to be charged must be paid before the document can be recorded. County courthouses in each state keep records of land, property transfers, births, deaths and marriages that took place in the county. These offices are usually known as the recorder of deeds, or clerk of the courts. Every state and county has a system to index each document to be kept on record. Some use a book and page system, while others simply use an index number. Deeds and mortgages must be sent to the county’s recording office to be filed on record once the transfer is complete. The simplest requirement for the recordation of a deed or mortgage is a signature that has been notarized by an official notary public licensed by the state. This simple feature will record in some states, but other states have more specific requirements. 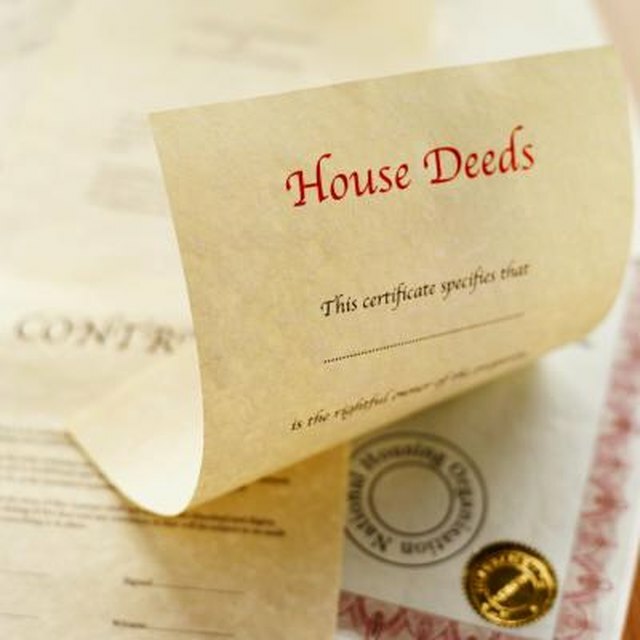 Often times, states will request that a name and address of the person who prepared the deed or mortgage document to be included. Some states require that the marital status of the mortgagee to be listed after his or her name. More specifically, some areas have document margins that are needed. For example, North Carolina requests a three-inch margin of blank space at the top of the first page. Here they will stamp the indexing information on the deed or mortgage. Does Getting a Document Notarized Cost Money? If a mortgage or deed does not meet all the recording standards, per the county, it will be rejected. The errors must be corrected before the document can be recorded. Typical errors arise if one or more of the recording requirements is missing or incorrect. For example, in Minnesota the martial status of the mortgagees must be stated after his or her name and also in the acknowledgment portion that the notary fills out. If the words “husband and wife” or “single” are not present, a Minnesota county must reject the deed or mortgage. Each county implements a standard fee to record a document within their index system. Typically, a document is charged a standard fee for the first page of the deed or mortgage, then any subsequent pages cost less. Massachusetts and Maryland impose a standard fee per document regardless of how many pages it is. The fees to record a document should be available on the county’s website or by calling the recording office. The fees are also subject to change periodically depending on any changes in the State’s Legislature.